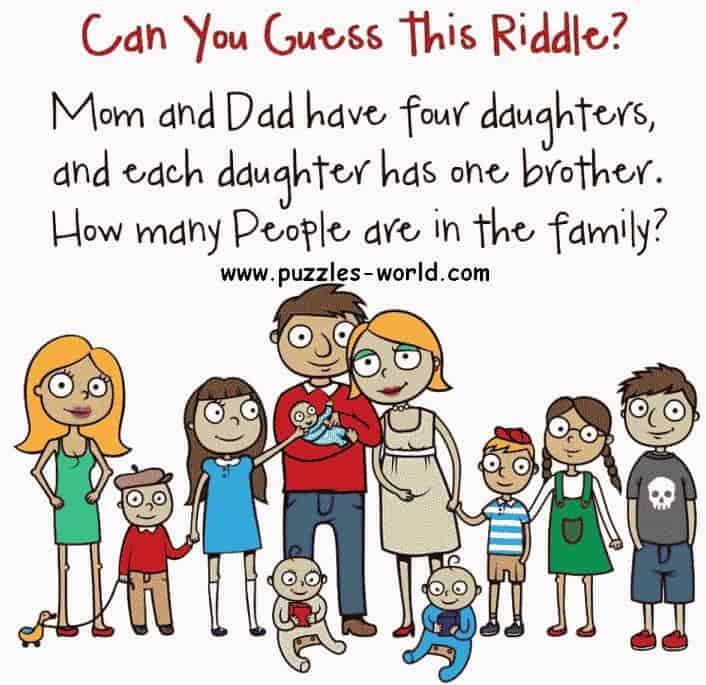 Can you Guess this Riddle ? There are 7 People in the family. Mom, Dad, 4 Daughters and 1 Brother.